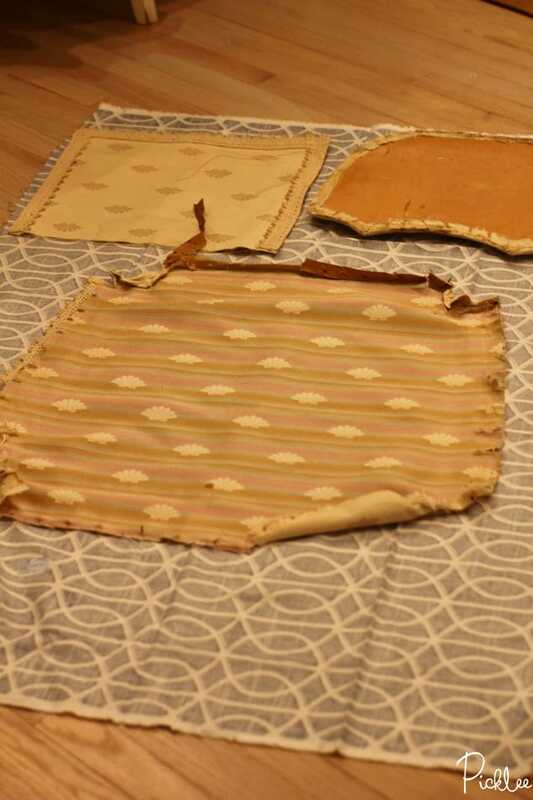 *Always, remember to try to keep the old fabric in good shape so that you can use it for your new upholstery. Next, I moved on to fixing up some lose joints on the chair. 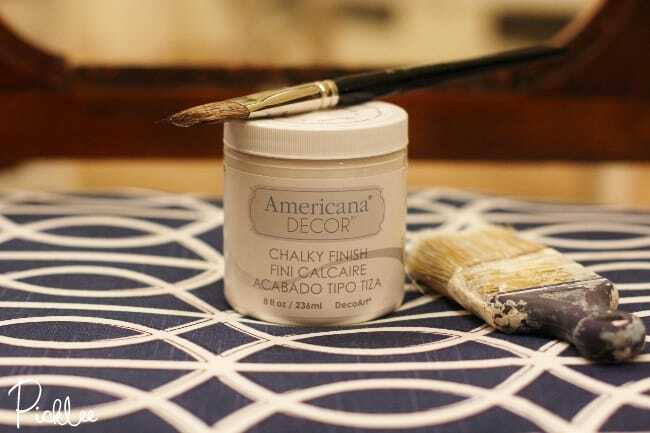 It’s always important to make sure your chair is structurally sounds before reviving it, after all, what good is a beautiful chair that you can’t sit in?! 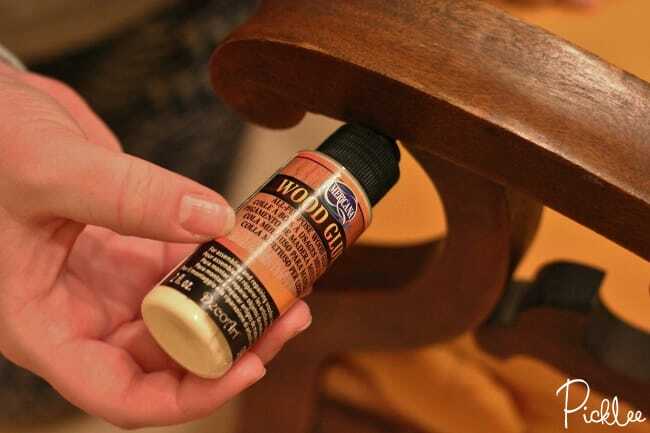 So I used some wood glue in some of the joints where the chair had loosened up over the years. I (reluctantly, because I have no patience!) waited 3 hours for the glue to harden before moving onto the next step. As expected, because of all the detail work, I ended up applying three coats of paint to this chair, waiting an hour between coats. 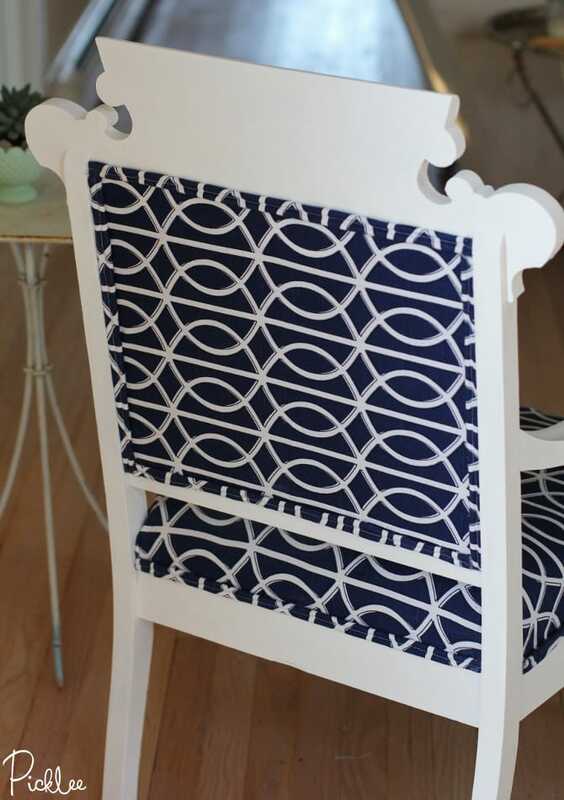 Once my new pieces were cut, I stretched them onto the chair, then tacked them in place using my staple gun. 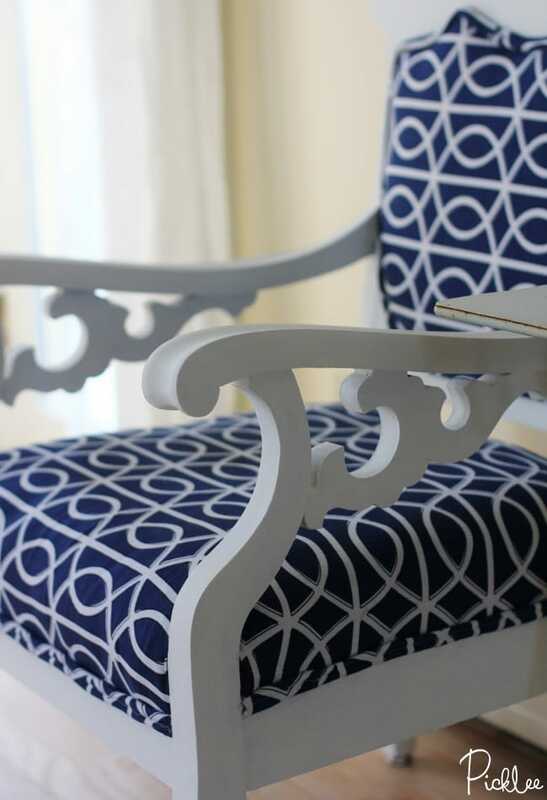 Click here, for my step by step tutorial on how to upholster a chair. After the upholstery was applied, I decided to trim the entire chair with double welt piping. 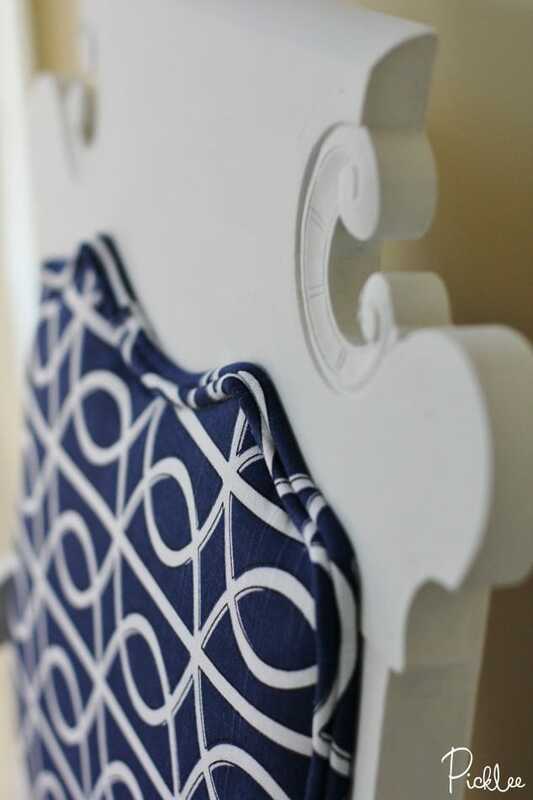 Double welt piping is my favorite type of trim for upholstery, its so classic & timeless looking. Click here, for my step by step tutorial on how to make double welt piping. The double welt piping was the perfect finishing touch! Now THIS, my friends, is why I do what I do…talk about a dramatic transformation! 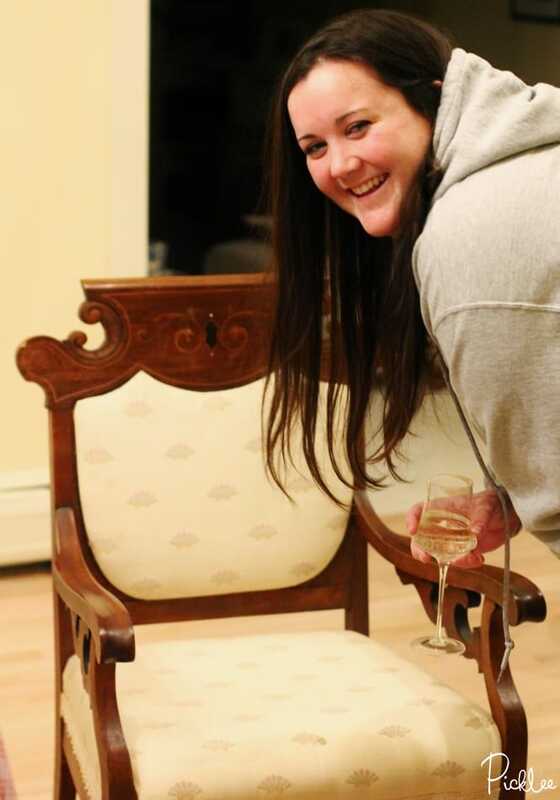 What was a poor, helpless chair will now be LOVED for decades to come! WOO WHOO, check out those bones!! OH, I almost forgot to show you the back! As if it could get any better?! Enjoyed this transformation? 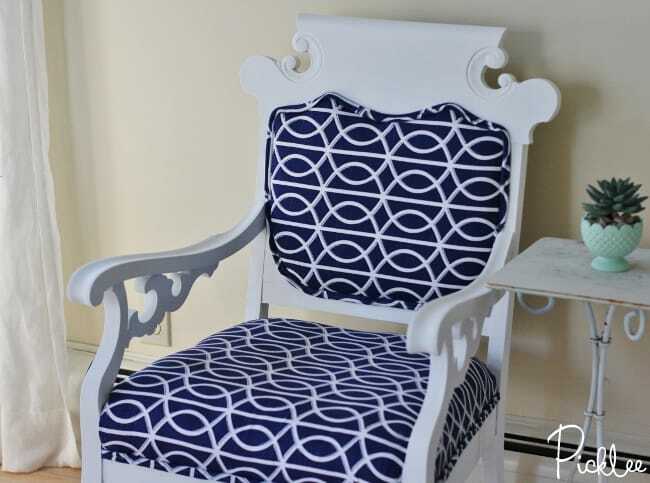 Find more of our antique chair transformations here!